As any parent knows, potty training can be a stressful, crazy, and messy time. While there are many different potty-training methods and each child is unique, we've gathered all the best books on potty training that will help you and your child conquer this milestone. 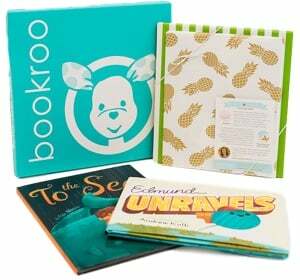 These children's books are sure to inspire, encourage, and motivate your little one to succeed and help you through the process as feasibly as possible. This book is so great! Pea Jr. runs a race in this book. I love that it shows him running an actual race with the idea of potty training throughout the book. My favorite part was definitely the Singing in the Rain reference. :) The illustrations are darling and this book teaches focus and determination, even when it seems hard to try to meet your goal! There's even a potty training chart and song in the back of the book. Such a fun read with each page cheering "Go, Pea, Go!" There are plenty of humorous subtleties that parents will enjoy. My son who is just starting to show interest in going to the potty has really enjoyed this book and often asks if we can read the "pea book". As a potty training book, this is truly fabulous. The illustrations are cute and modern and the rhymes using a broad bathroom vocabulary are really clever. The message? EVERYONE has to use the bathroom, no matter what they're doing or how important it is and that's normal! The illustrations in this book were definitely my favorite part of this book—they are amazing, fun and unique. I love fractured fairy tales and anything akin to them, but I felt like this book didn't quite live up to my high hopes in terms of a Goldilocks parody. As a potty training book, however, it gives you an opportunity to talk about finding undies your child is excited about, their special potty that's just the right size for them (if applicable) and that even though it may be hard and there may be some accidents along the way, they'll eventually be successful! The firetruck is ready to go, but where is the firefighter? Lift the flap to reveal that he's going to the potty! This book seems highly targeted at boys since there is only one example of a female doctor going to the potty (on closer inspection the doctor could also be a man with long hair). Other individuals going to the potty include a police officer, a baseball player, a construction worker, an astronaut, a waiter, and a captain. In this funny picture book, a toddler named Sam, who knows what he wants, learns to be proud of his new potty. WHAT IF ANIMALS POTTY TRAINED? "Animals from A to Z are very much like you, They play, they eat, they sleep, they dream, They even pee and poo!" The book answers important potty time questions! "Definitely isn't just another potty book. It is silly, fun, and colorful." "Unique twist on a potty book and an alphabet book." "Animals that you wouldn't think of to illustrate going potty. Thought E would be an elephant?" "Should keep your child sitting long enough to take care of business." Includes catchy rhymes and great illustrations. Overload of fun and cuteness! Makes you both smile and read over and over. Must-have for your bookshelf if your child is 2 to 5 years old. Follow the antics of 27 very different animals from air, land, and sea as they all go potty in this beautifully imaginative rhyming ABC book. Accompanied with vivid, full-color illustrations from artist Zhanna Mendel. When everything fails to persuade the princess to use her potty, the king and queen consult the royal advisor who gives them valuable advice. Sally Lloyd-Jones's riotous narration and Anita Jeram's endearing illustrations make this a charming and energetic invitation to potty trainees everywhere. Bunny wants his potty. What will Bunny do? Only one thing for it . . . skip to the loo! Bunny's not the only one skipping to the loo. Look who else wants their potty! Quite a few. . . . With rollicking rhythm, Sally Lloyd-Jones gets the party going in a book that simply rejoices in the call of nature. Everyone is invited to celebrate—from a lonely dodo to a wibbly woo, from Lord and Lady Huff Puff to an elephant in a tutu. But when the party is in full swing and everyone's on their potty, Bunny sees that someone very important is missing. Who could it be? Illustrated with photos of toddlers as they practice potty training, this sturdy board book with reward stickers features Thomas the Tank Engine and friends offering encouragement as toddlers work toward the moment when they can say, "Bye-bye diapers!" A little princess, tired of nappies, learns to use the potty, although it's not always easy. Every parent knows how difficult potty training can be. Shed a little humor on the subject by reading your child "Poop! There it is!". Kids will giggle and laugh along with this silly book while learning the basics of potty training. With interactive flaps and child-appealing text, the author describes the steps a toddler must go through in learning how to use the potty. A little girl receives her own potty, and in spite of accidents, she makes her mom and dad proud when she no longer has to wear diapers. Various animals demonstrate humorous reasons why they cannot use the toilet like children and grownups can. Follows a young boy as he celebrates wearing underwear instead of diapers. I like that Potty Superhero helps connect the idea of special super powers with learning to use the bathroom. It can help encourage children with their potty training as they see it as a special accomplishment.